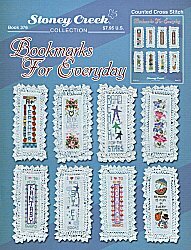 *Please note that the bookmarks originally designed on have been discontinued by the manufacturer. We have found two different substitutions: one with a scallop edge and one with a fringe top and bottom. Check them out in related products below.